A long time ago, when I was just a teen, a girlfriend who already volunteered at a local nursing home, invited me to volunteer. For six months or so, twice a week, Sue, dressed in a cute Candy Striper outfit, pushed around the hospitality cart. Her job, which cast her in an angelic light, was bringing newspapers, magazines, and dog-eared romance novels to the home’s more-together residents, the ones who were alert and interested enough in life to want to read books and magazines. When I asked Sue what I’d be doing, she assured me it would be something nice, like arranging flowers or fluffing pillows or tucking a lap rug around a grateful old person’s knobby knees. Imagine my dismay when the aide assigned to volunteers told me I’d be assisting a staff member feeding residents who were unable to feed themselves or get to the dining room and who were fed in their rooms instead. I am ashamed to report after all these years that I lasted only three weeks before I quit without notice. It wasn’t that I didn’t quickly master the art of spooning mush into slack, sometimes toothless, mouths. In fact I was so good at the job that the aide who was paid decided she didn’t need to do it. I spooned in food. I wiped chins. I was patient. I tried, whenever possible, to engage with the person. About my new auxiliary nursing skill, I experienced a sense of pride. But the entire three weeks I volunteered, I worked much harder at suppressing my repulsion and my fear. I never stopped thinking I never wanted to be that old, that feeble or feeble minded, that dependent. Fast forward 47 years. I make a new friend whose mother is 96. Her mom lives at home in the apartment she’s lived in for decades. Her mother is frail but has all her marbles and until fairly recently was able to do a little grocery shopping. Then she took a bad fall necessitating surgery. Her daughter, for the duration of her mother’s recovery, decided to move in. I met my new friend out walking. In the evenings, people take a lot of walks around here. While we walked, she talked. She told me there was no end in sight when she could move back to her own house and her husband from whom she was estranged. She said her previously tough mother had become quite infantile and required a lot more care. Her mother could still be convinced to be driven to the senior center where she was given a hot lunch, but had become clingy and needy, pleading with her daughter not to leave. Even these hour or two walks my friend took for exercise and to relieve her own stress were too much for her mom, who called her on her cell two or three times during each walk, asking when she’d return. My friend invited me last week to join her at a trendy coffee shop. The chic atmosphere was about as far removed as possible from the tight quarters and old- person smell of the apartment she shares with her mom. And there is an old person smell. It’s the smell of unopened windows and disposable diapers and ointments and bedpans. “I wish I could get my mother’s hemorrhoids fixed,” my friend said. “They make keeping her bottom clean so much harder.” This was our conversation. It wasn’t at all what I wanted to talk about, but I understood her need to discuss it. “Do you mind going with me to pick my mom up from senior day care?” my friend said. I went. I met her mom, whose name is Shirley. Shirley was polite but suspicious. She was concerned I was her new caregiver. I helped get Shirley in and out of the car and up the stairs. I got her settled. I brought her a cool drink and asked her how she was feeling. “I don’t like living like this,” she said weepily. I stuck around for about half an hour. My friend made her mother a snack. I sat beside her mother as she slowly ate. It felt like being at that nursing home, except I wasn’t holding a spoon and Shirley, although at a snail’s pace, was able to manage her own sandwich. I engaged her in conversation. I complimented her hair and her outfit. I asked about a yellowed old snapshot of a curly-haired little dog Shirley said had been called Puffy. While I sat there I imagined what it would be like to sit with Shirley like this every day. I imagined spending hours and hours with her like this and how that might be. I caught the sharp tone in my friend’s voice when Shirley finally finished eating. She asked her mom if she needed to use the lavatory. When her mother said it was too late, that she’s already had an accident, I did not rush to help. Once again I wanted to run away. As I was leaving a few minutes later, Shirley grabbed my hand. “Won’t you stay?” she said. “You seem so nice.” I promised I’d return. And then I thought about that nursing home I’d volunteered at so long ago and my heart sank. I’m aware that for the most part, when it comes to caring for infirm older people, I’ve lived a sheltered life. I’ve been shielded from situations that are horrifying for both the caretaker and the person being taken care of. Spending even an hour with Shirley brought it all home for me and raised personal questions for me that were quite frightening. But I know that I have to keep my promise to Shirley, face my fears and return to give what help I can. 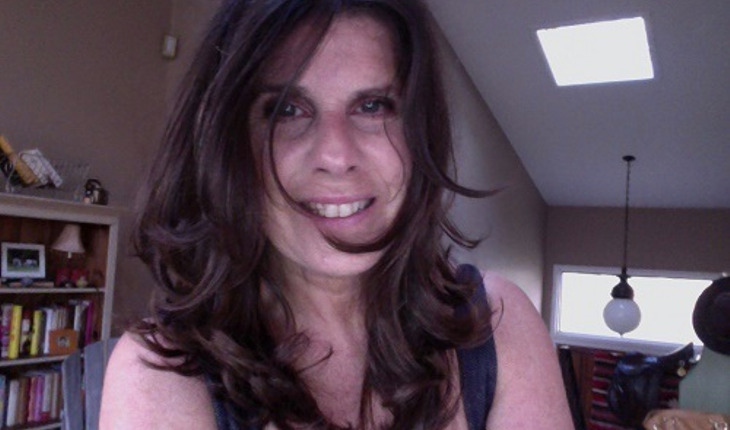 Eve Marx is a journalist and professional Reiki Master. She writes often about relationships and spiritual and physical healing.